Ford Mustang Convertible Boot Space, Size, Seats | What Car? 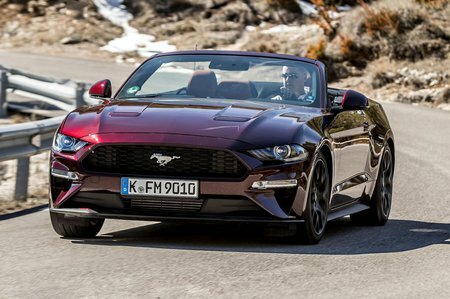 There are masses of space up front for even a very tall driver to get comfortable but, despite the Mustang Convertible's sizeable proportions, the two rear seats are cramped. Children and particularly short grown-ups will fit, but normal-sized adults won't unless they don't mind sitting cross-legged. At least the long doors mean access is a little better than in the BMW 2 Series Convertible. Even so, an Audi A5 Cabriolet would be even more comfortable. Still, it’s not all doom and gloom. 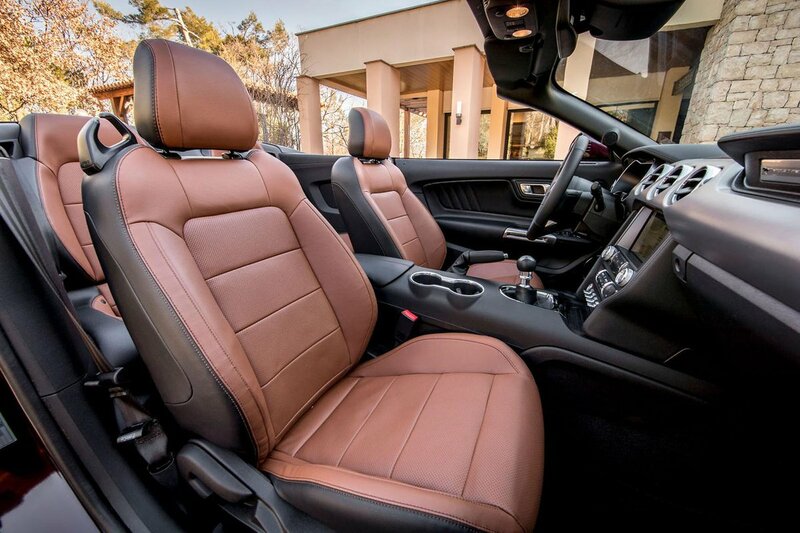 The Mustang Convertible gets Isofix mounts in the rear, so two child seats will be secure there. Good luck explaining it’s a sensible family car to your better half, though. 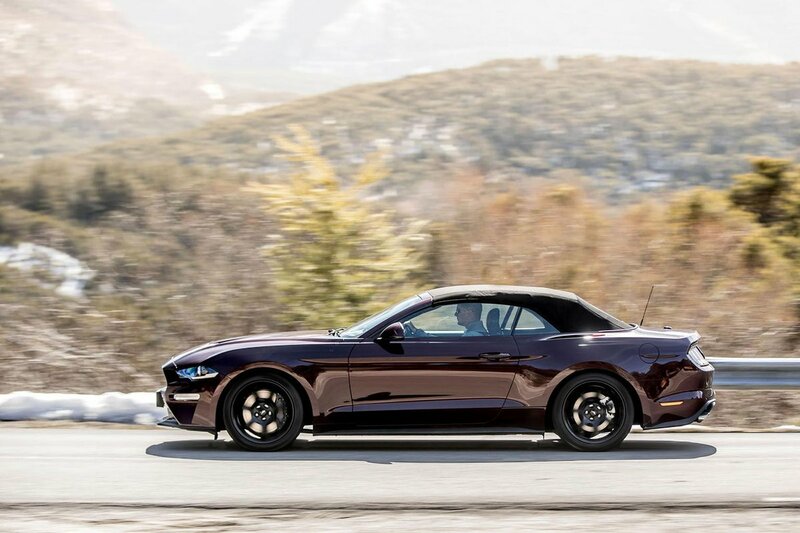 Officially, the Mustang Convertible has a bigger boot than that of its immediate rivals; there’s 332 litres of space with the rear seats in place and you can fold them down when you need to carry longer items. However, the narrow opening and high load lip mean it’ll be difficult to load bulky items. And despite its greater on-paper size, the Mustang Convertible actually has a smaller boot than the 2 Series Convertible.